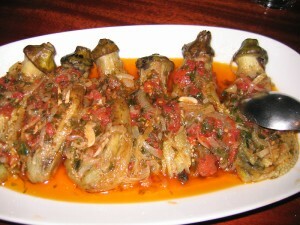 Nazuktan is a Central Anatolian recipe. 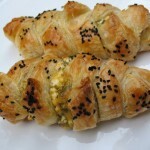 I have first tasted it in my friend Nesli’s house and loved it. There’s a similar meze with roasted eggplants and yogurt, however, what makes this one a special delicacy is the toasted almonds and a little drizzle of molasses on top. Enjoy! 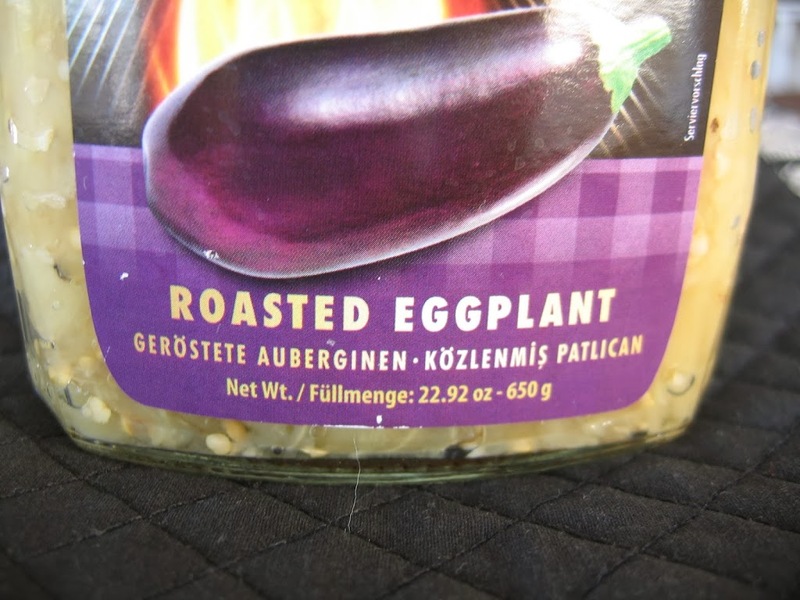 If you are using fire roasted eggplants from a jar, skip this paragraph. If you are using fresh eggplants, first wash the eggplants. 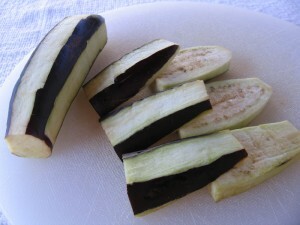 Poke into the eggplants with a skewer or a small knife at 3-4 places for even cooking. Roast them on the barbecue, approximately 15 minutes on each side. Turn to make sure all sides are evenly cooked. 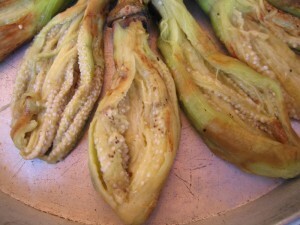 The skin will look dark, almost charred, but when you press on it with a fork, the inside will feel soft. 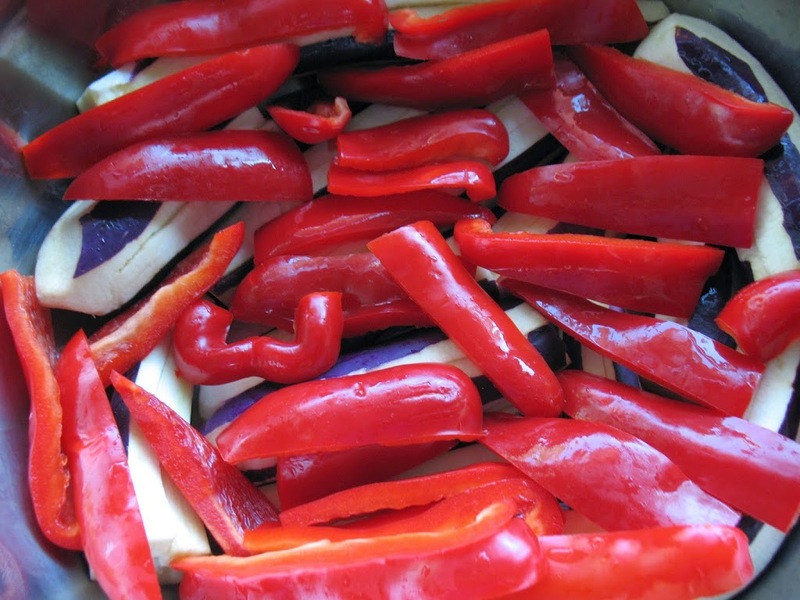 Remove from heat, set aside to cool. Peel the outer skin, place on a board and gently chop to small pieces. If you are using eggplants from a jar, drain the juices by placing the contents in a strainer for about 15 minutes. 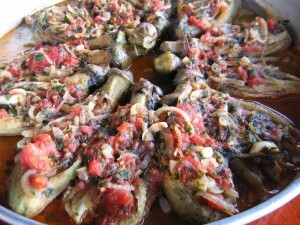 In a bowl, combine eggplants, yogurt, lemon juice and mashed garlic. Mix well with a spoon. 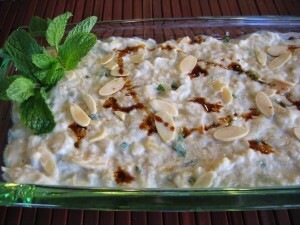 Add almonds, fresh mint, salt and pepper to taste and gently mix with a spoon. Place on a serving dish. 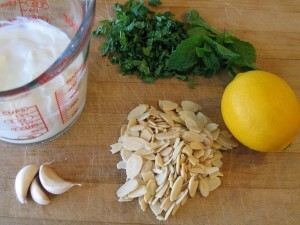 Garnish with a few sprigs of fresh mint leaves and toasted sliced almonds. 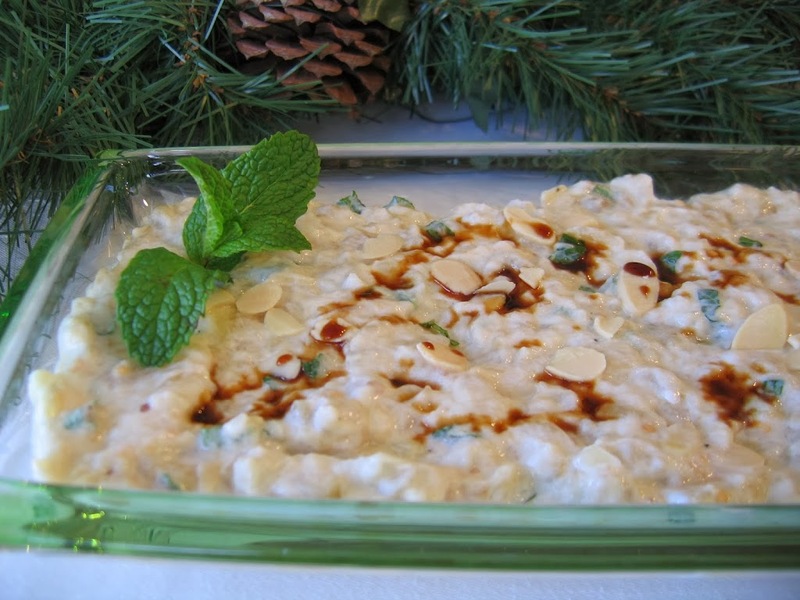 Drizzle molasses over the plate and serve. The name of this famous dish “Imam Bayıldı“ means “Priest Fainted”, supposedly with pleasure after eating this dish. 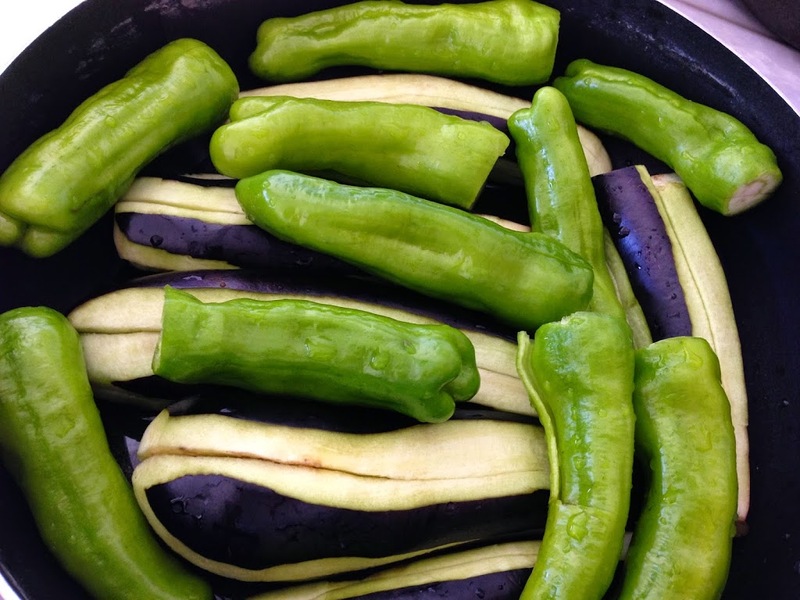 The original recipe calls for frying the eggplants first, before cooking them with the rest of the ingredients. Based on my friend Fatos’ recipe, I’ve tried roasting them instead. 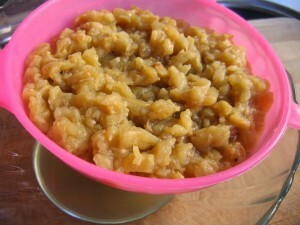 It turned out delicious, so my recipe was modified forever. It has simple ingredients, yet is a very tasty eggplant dish. Traditionally served at room temperature as a side dish or as meze/appetizer. I hope you enjoy it as much as “imam” did. 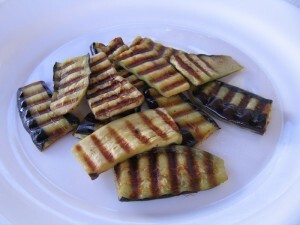 Wash and roast the eggplants on barbecue. Put aside, let them cool down, peel the skins, set aside. 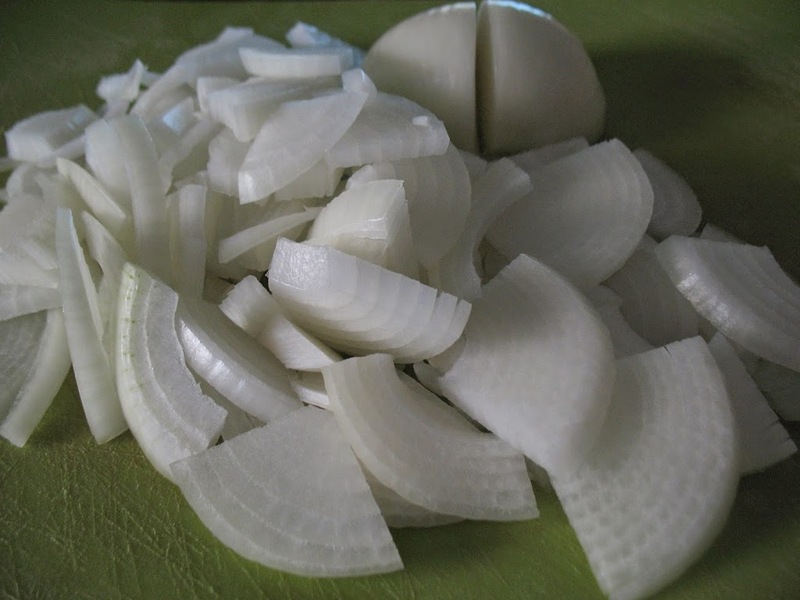 Cut onions in half and thinly slice. 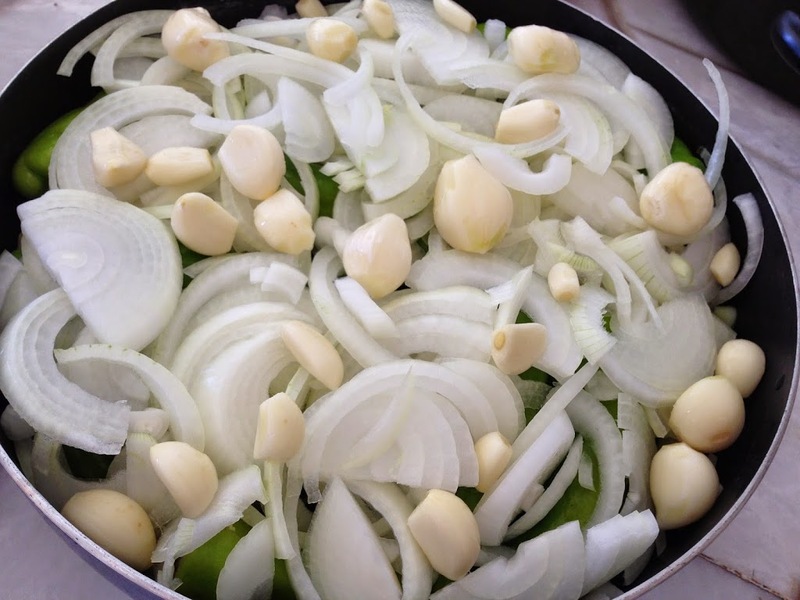 In a pan, sauté onions in olive oil over medium heat for about 4 minutes. 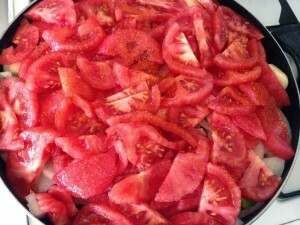 Add garlic and tomatoes. Add sugar (optional), salt and pepper to your taste. Cover and let it simmer over low-medium heat until all vegetables are tender, about 10 minutes. 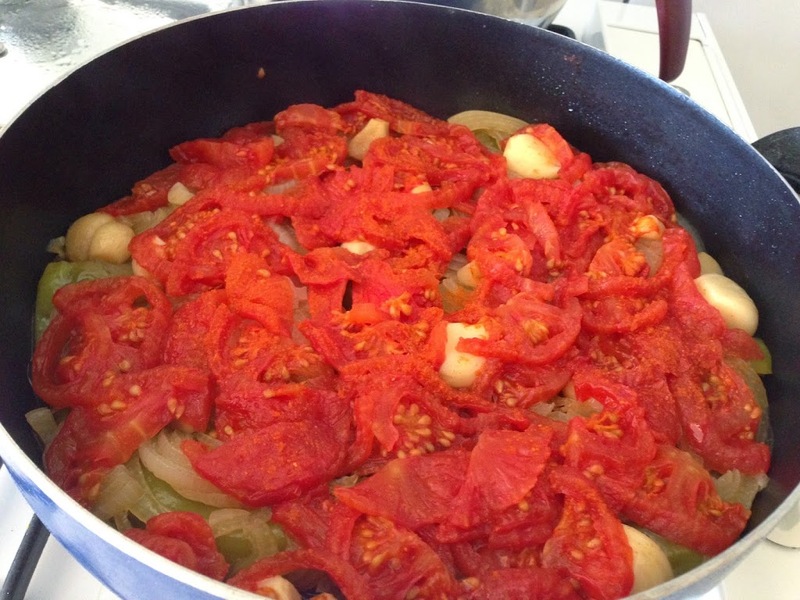 If the tomatoes are juicy, you won’t need to add any water. 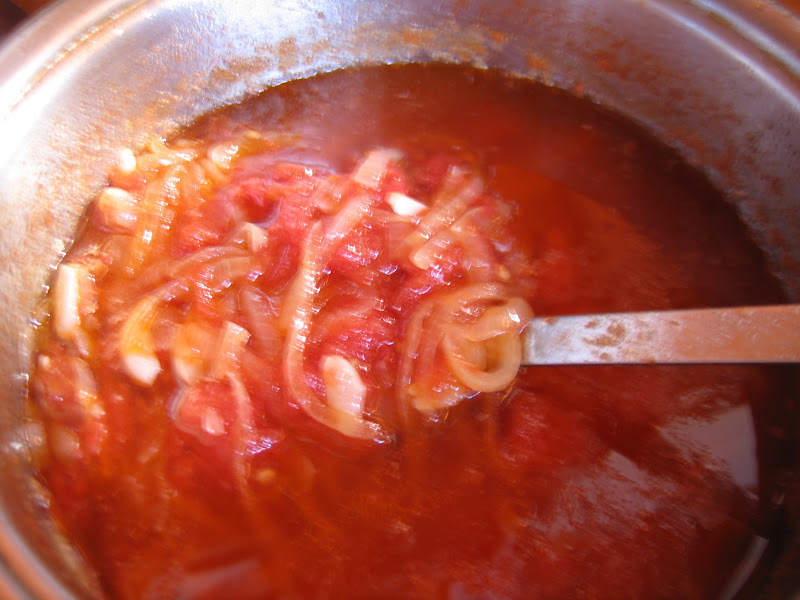 If not, add a glass of boiling water to the pot to let the vegetables simmer in the sauce. Right after removing it from heat, add chopped parsley, gently stir. This will be the filling for the eggplants. Preheat oven to 350 degrees Fahrenheit. Arrange eggplants in an oven safe dish. 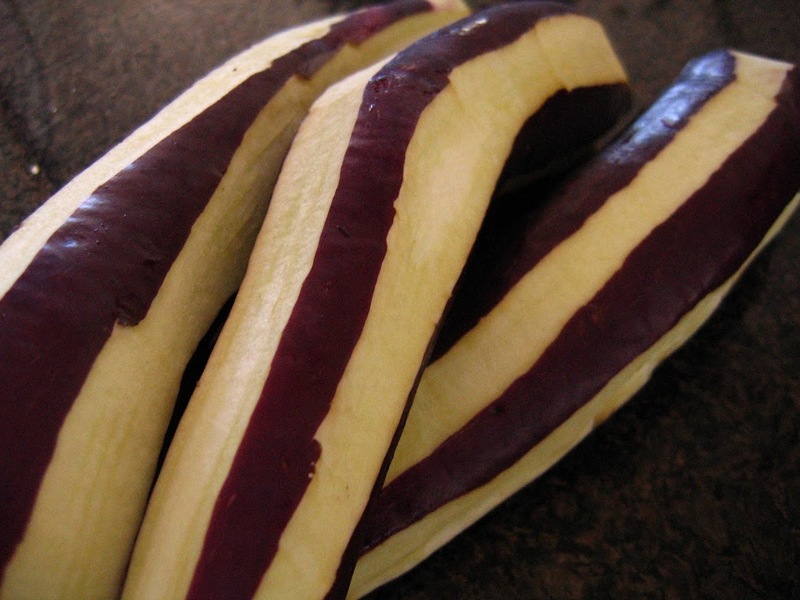 Gently open the middle part of the eggplants lengthwise. 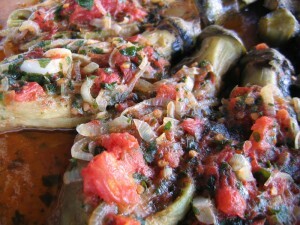 Using a spoon, place vegetable filling in the middle of each eggplant. 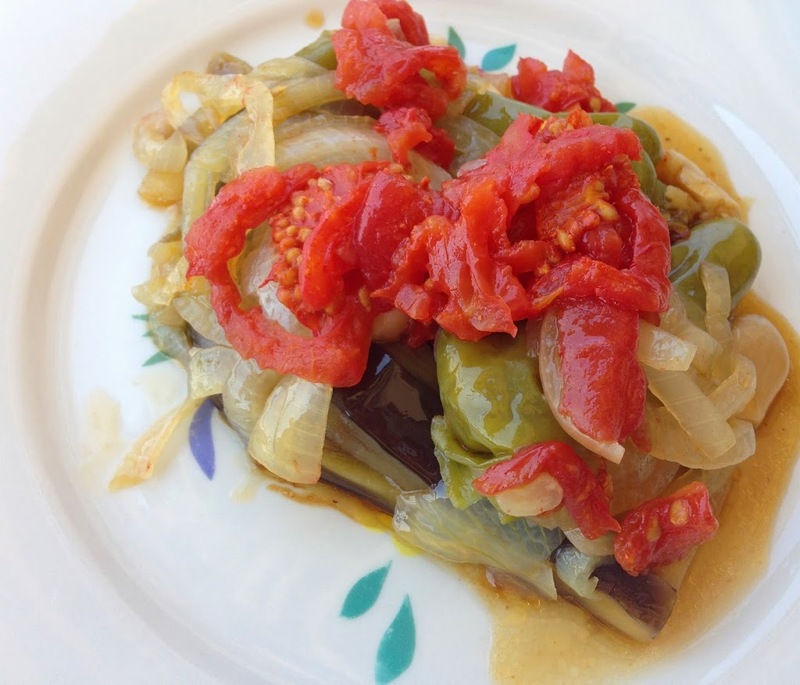 Try to take the vegetables only, leaving most of the sauce in the pot. 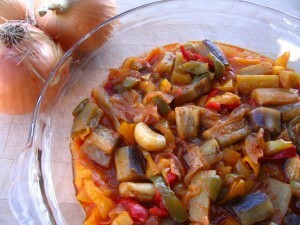 Using a spoon, pour some of the sauce left in the pot around the eggplants. 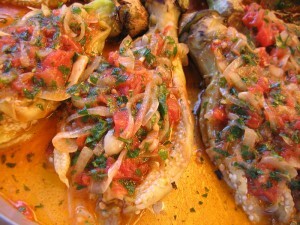 Place the dish in the oven. Bake for about 30 minutes. Let it cool to room temperature. Transfer to a serving dish, enjoy! 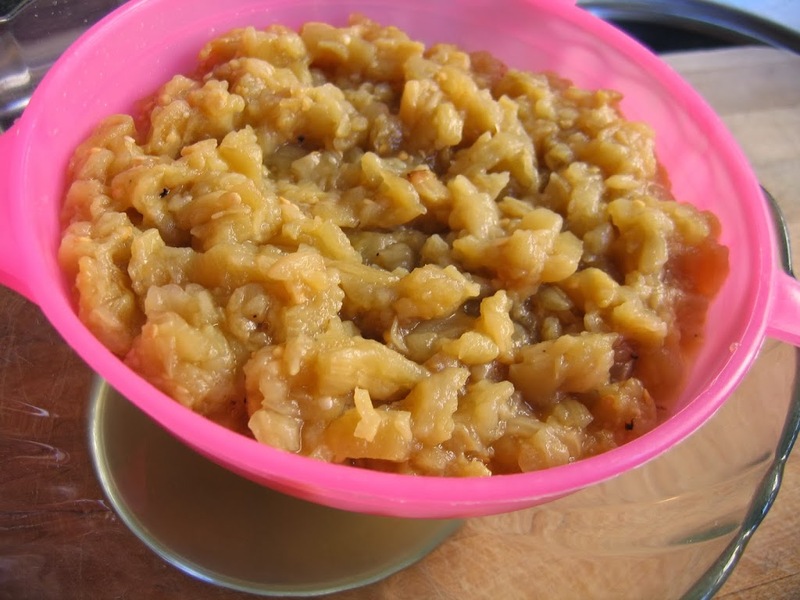 If you use canned garbanzo beans, drain well. 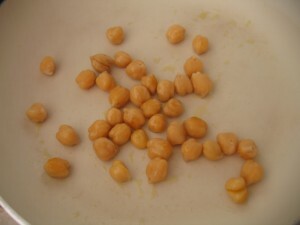 In a non-stick pan sauté garbanzo beans in 1 table spoon of olive oil for 3 minutes, set aside. 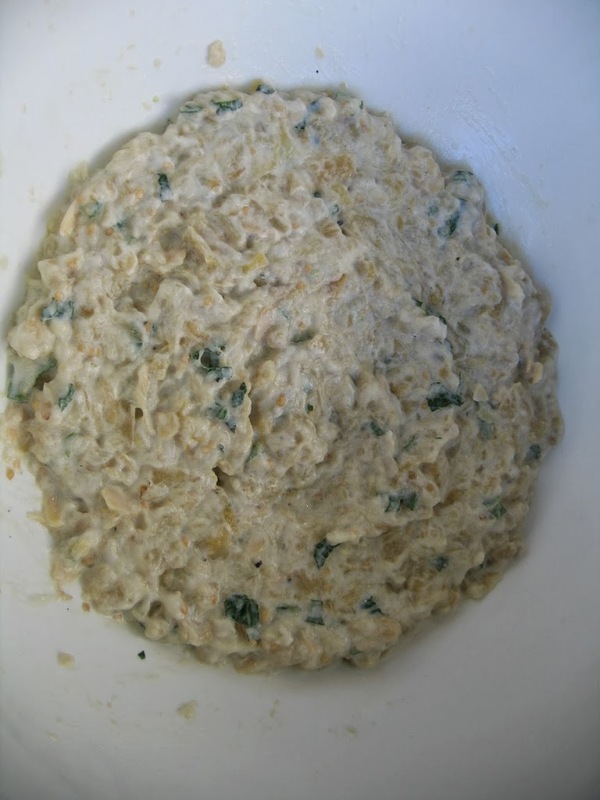 Drain tuna well. 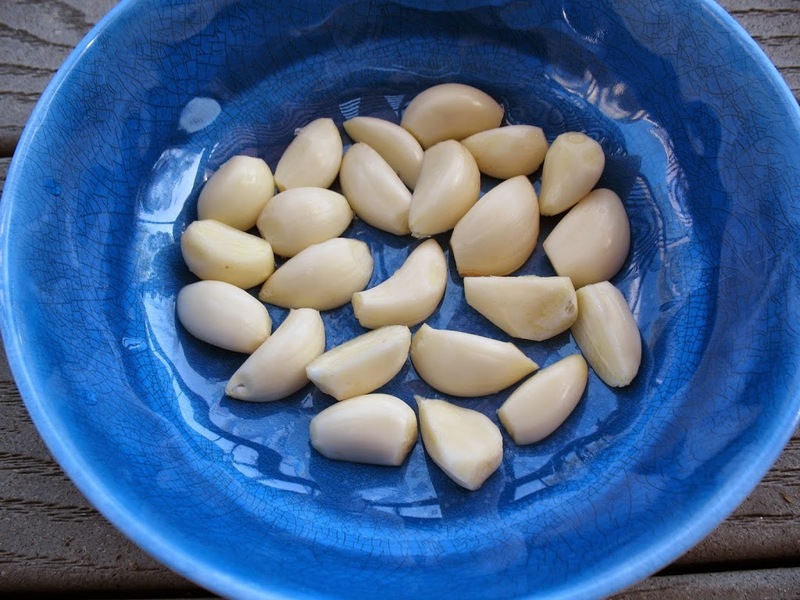 In a small bowl, mix remaining 3 table spoons of olive oil and lemon juice. 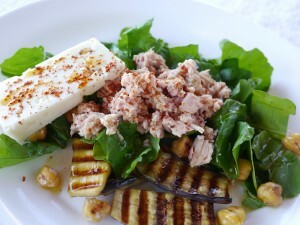 Add 1 table spoon of this dressing to tuna, mix well. Add black pepper (optional) to your taste. Set aside. 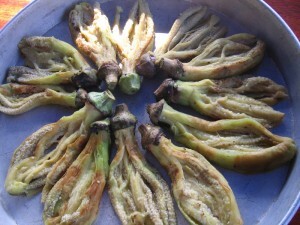 Wash and dry eggplants. Peel portions of the skin lengthwise, leaving it with a striped look. 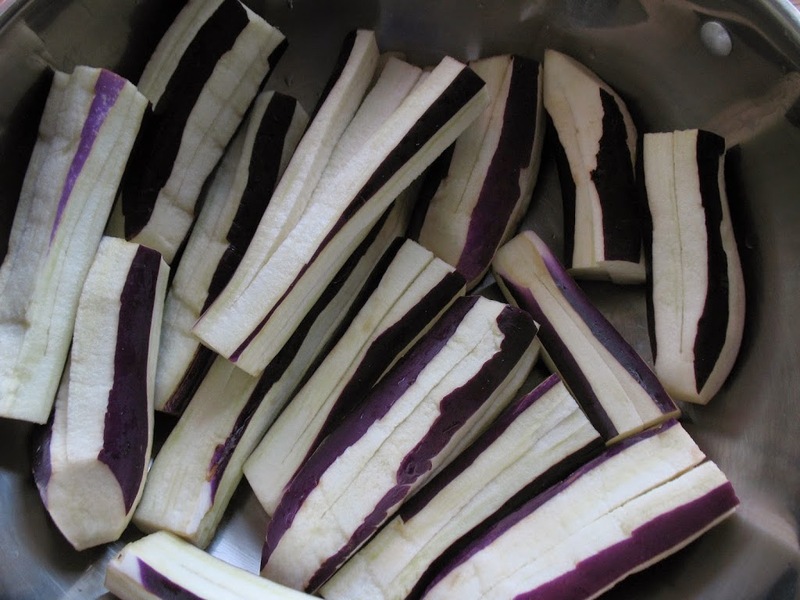 Cut the eggplants in half and cut each peace into thin slices. 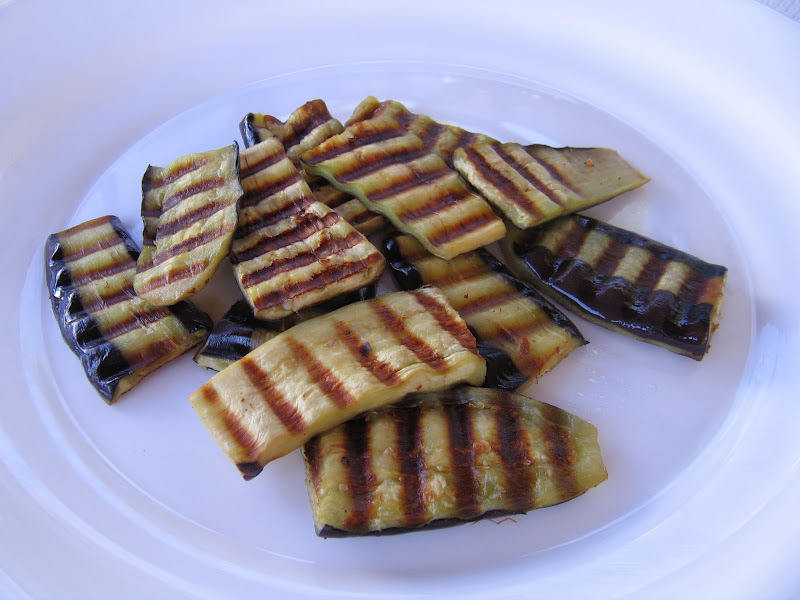 Roast eggplant slices on a grill until they are tender. 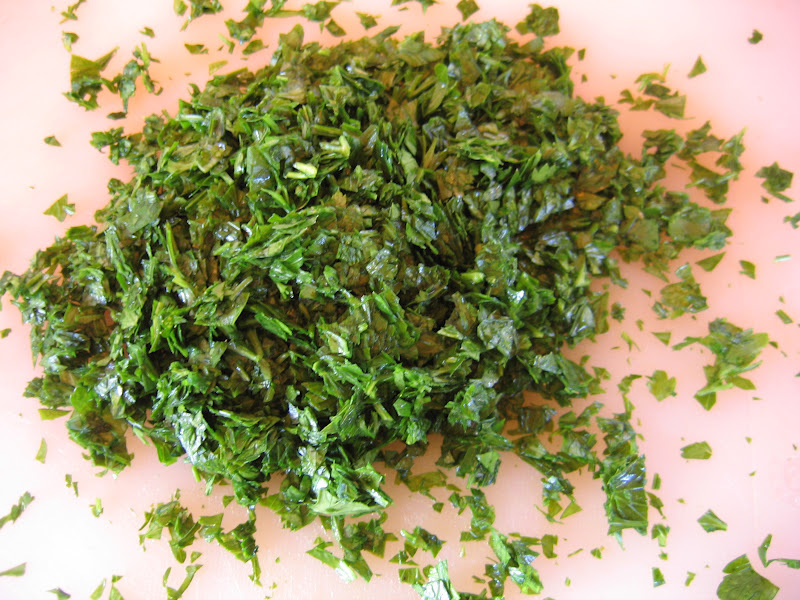 Wash arugula leaves. Cut them into bite size pieces. 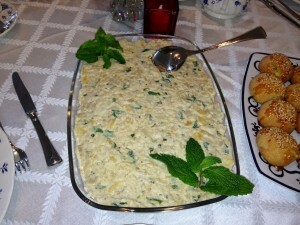 Place the leaves on a serving plate. 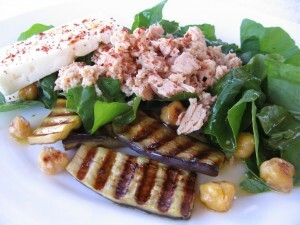 Drizzle the olive oil-lemon juice dressing over the arugula leaves. Put tuna on top of it. Add garbanzo beans and the slice of cheese to the plate. Sprinkle crushed red pepper (optional), salt and pepper to your taste.